Step into this stunning contemporary home in Thomas Heights. If you like the modern feel, you’ll love the grey color scheme going on in this home. Grey has an inherent calmness and sophistication, yet the neutrality of it allows you to decorate any way you want! You’ll enjoy touches of grey from the Dolphin brushed oak flooring, to the Dovetail Grey kitchen and bathroom cabinets. 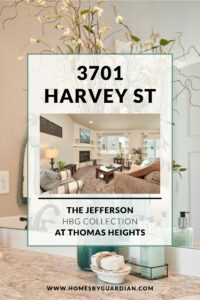 Read on to find out more, or contact us to check out this home for yourself! 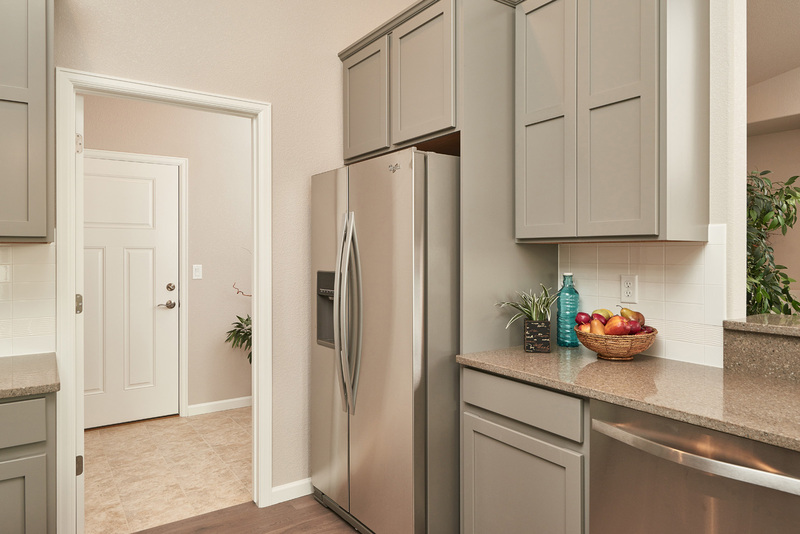 From the moment you walk in the door, the features are endlessly inviting. The vaulted ceiling and large windows make the living room a place where you will want to kick off your shoes and stay for awhile. And when the weather takes a turn (like is has today) you can cozy up by the corner gas fireplace. 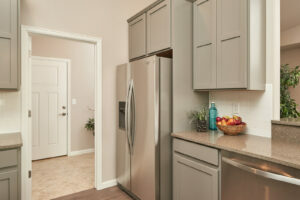 The heart of the home (aka the kitchen) is tucked around the corner. 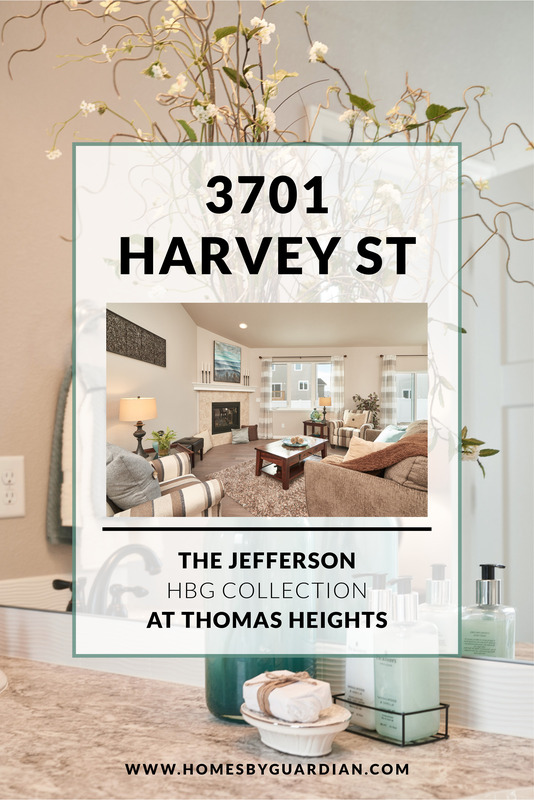 In here you’ll find gorgeous grey alder cabinets, gleaming quartz countertops, white tile backsplash and sparkling new stainless steel appliances. The counter wraps around creating a perfect breakfast bar with a high-arching, pull down stainless faucet and kitchen sink below. 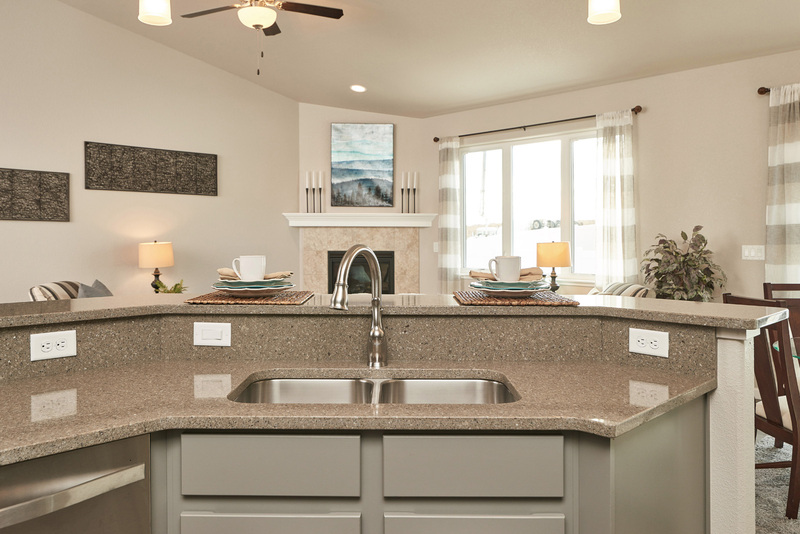 This convenient location allows you to be able to wash your dishes, while overlooking the living room and dining area. Just behind the kitchen, behind closed doors, is the laundry room which doubles as a mudroom off the 3 car garage. This makes the perfect drop zone for your family. The split bedroom design places the master on the east end of this home and the two additional bedrooms on the west, past the living room and kitchen. The master suite doorway is privately blocked from the front door by an angled wall with a built-in shelf. Inside the master bedroom you will find a trey ceiling and high windows that let the light flow in. The attached master bath has double sinks, grey cabinets, a bath tub, and a separate glass and tile shower. Another door leads into the large walk-in closet with a window and built-in shelves. The opportunities are endless in this fabulous new home in Cheyenne’s newest north neighborhood. 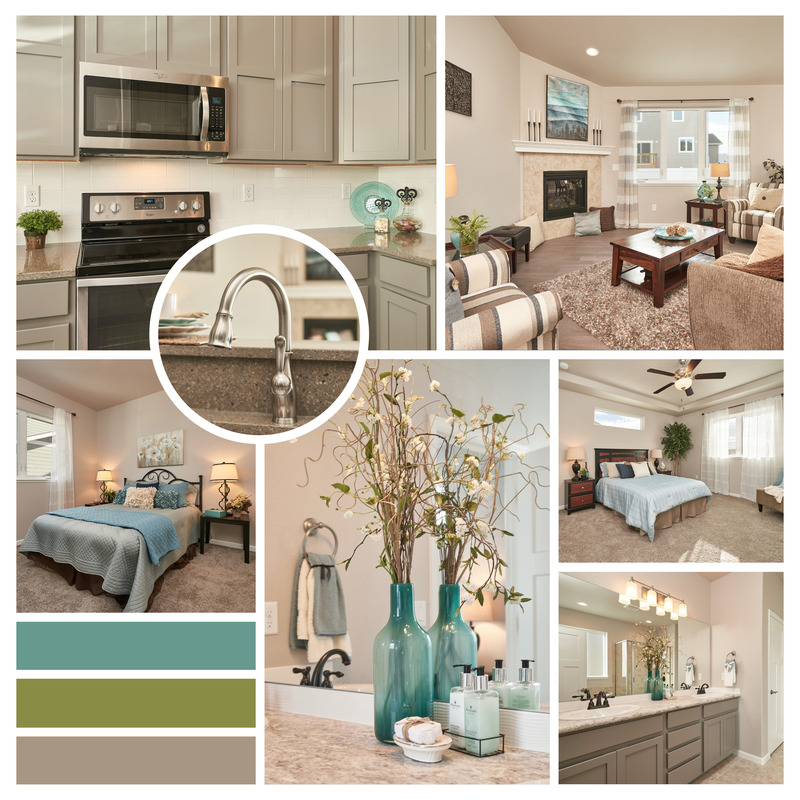 Make this beauty your new home for the new year!